CANFIELD – Private services were held for Virginia M. Baechly, 97, who died early Monday morning at Briarfield Manor. 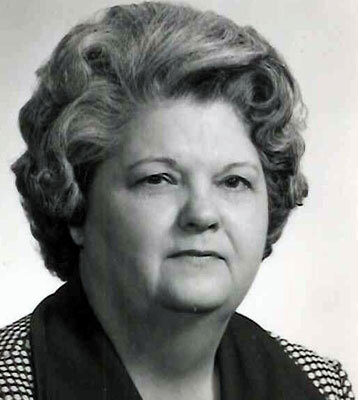 Virginia was born Jan. 2, 1918, in Youngstown, the daughter of Rolland Baker and Minnie Strayer Baker Spencer. Virginia was a telephone operator with Ohio Bell Telephone for 30 years. She was a 1936 graduate of South High School. Virginia was a member of the Telephone Pioneers of America. She loved to travel and enjoyed watching football, especially the San Francisco 49ers. Virginia’s husband, John J. Baechly, died in 1986. She is survived by her daughter, Christine (Robert) Johnstone of Canfield, with whom she made her home; her grandchildren, Robin, Tracey and Kelley Johnstone; and her great-grandchildren, Sara Tuchek and Jonathan and Jordan Oliver. Besides her parents and husband, Virginia was preceded in death by her brother, Edward Baker. Arrangements were by the Lane Family Funeral Homes, Canfield Chapel.